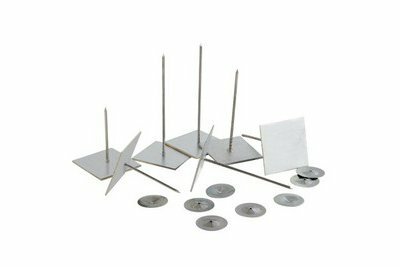 Self-adhesive hangers for fixing insulation materials. Made from nails firmly mounted on a galvanised steel base, with a self-adhesive foam pad on the reverse. Fastening clips are supplied to fix the insulation in place.